All of these tools come in an ISO format which is ideal in a virtual environment. Upload the ISO to the datastore and mount them to your guest. I’ve taken 3 short videos to show you the general feel of each tool. 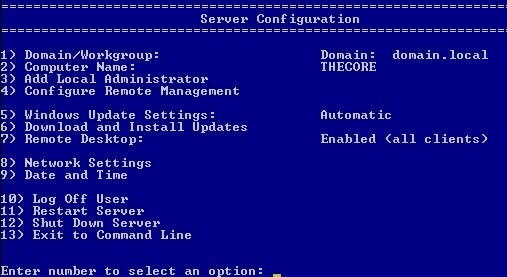 As you can see, there are plenty of methods to configure your Server core installation.